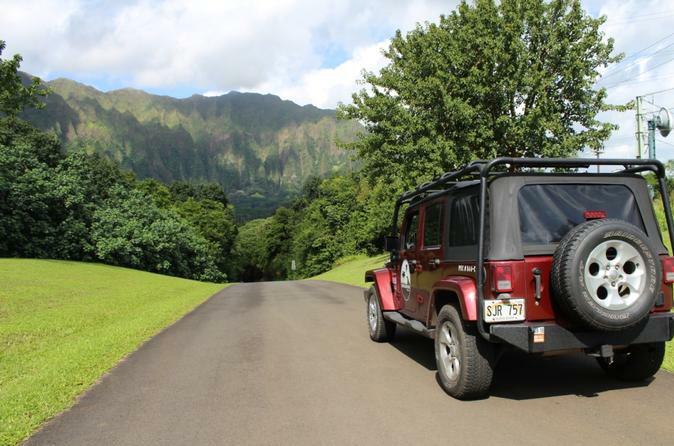 Make the most of your island vacation with a full-day, private, custom Jeep tour that takes you all over Oahu. Avoid the crowds and the tourist traps with a fun and flexible adventure. Spend the day doing the types of activities you most want to experience on Oahu, all with a tour guide who knows the island and is passionate about sharing it with others. Simply let your guide know the types of activities you'd like to do, and he/she will create a tour that's completely catered to your interests. Options include hiking, snorkeling, and places of historic or cultural significance.